The ZWILLING Twin Pollux two piece knife set is ideal for peeling and cutting small vegetables and fruits. Made of FRIODUR ice hardened steel, each blade is extremely sharp and durable during use in the kitchen. Their full tang make these knives extremely safe to use, and creates a very stable and evenly weighted knife. The ergonomic handle is very comfortable and ergonomic, and include a traditional three rivet design for additional beauty. 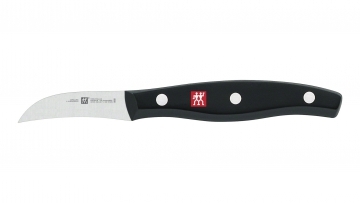 The end of the handle also features an integrated red ZWILLING logo for added elegance. 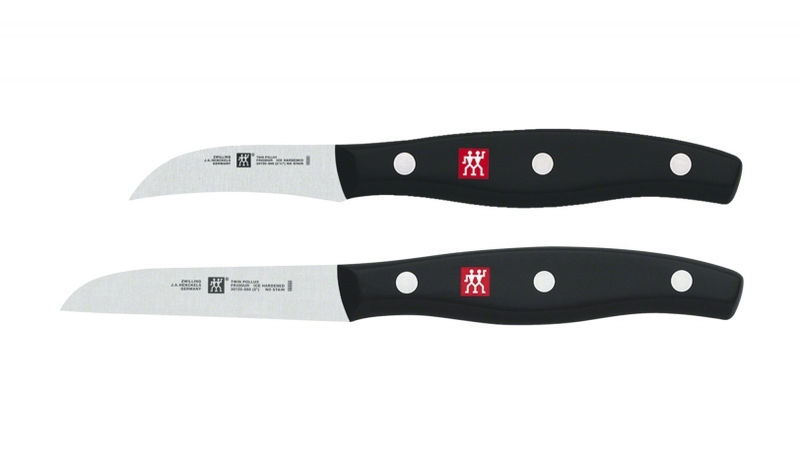 The ZWILLING Twin Pollux two piece knife set is perfect for beginners looking to get into the exciting world of cooking! 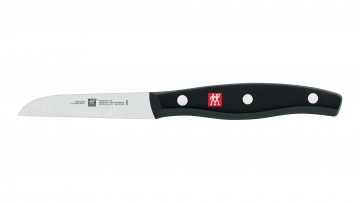 The ZWILLING brand has been synonymous with high-quality products since 1731 and is one of the world's oldest brands. Offering customers the very best kitchen and beauty products has always been ZWILLING's passion. It has always been the company's aim to use innovative techniques to produce the highest quality products in an appealing and timeless design – all the time evolving shaped, functions and processes. To achieve this, ZWILLING works together with renowned designers, who share ZWILLING's values and visions. The broad-based product range offers products for contemporary home kitchens – from knives and pots to frying pans, flatware and kitchen gadgets. The ZWILLING range is complemented by beauty implements for hand, foot and facial care. High-grade stainless steel products for manicures and pedicures, as well as hair scissors products for brand-conscious consumers and professional users. Cooking thus becomes a pleasure and body care becomes beauty.